WHY IT RATES: The $500 air credit promotion valid until April 27, 2019 on minimum four-night stays is combinable with $1,500 resort credit.—Patrick Clarke, TravelPulse Senior Writer. 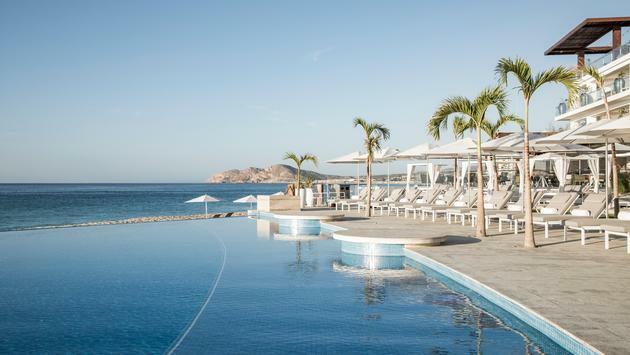 Le Blanc Spa Resort Los Cabos, Palace Resorts newest gem, is celebrating its one-year anniversary with a $500 air credit promotion* to the swanky, adults-only property. Located on Mexico's Baja California Peninsula, Le Blanc Spa Resort Los Cabos is the second property outside of Cancun, that falls under the Le Blanc Spa Resort umbrella which is part of the Palace Resorts portfolio. Adding to the already luxury-driven vacation, the promotion is also combinable with the popular $1,500 Resort Credit, which can be used on a wide selection of activities such as destination tours, luxurious spa treatments, and rounds of golf, among many others. Other add-ons include an upgrade up to a Royale Deluxe Honeymoon Suite and complimentary transportation service to and from the airport. This is the perfect opportunity for those looking to enjoy a value-driven, luxury vacation, whether it be a destination wedding, a romantic getaway or a group trip. This opulent beachfront property features the traditional facilities and over the top amenities, Le Blanc Spa Resort is known for, including well-appointed designer suites, an award-winning 29,000 sq. ft. full-service spa with 25 treatment rooms, an incredible hydrotherapy facility, a 3,961 sq. ft. fitness center and wellness center, juice bars, four plunge pools, gourmet specialty cuisine, butler service, over 14,000 sq. ft. meeting space, four breakout rooms and much more. Guests can enjoy personal butler service, nightly aromatherapy, a selection of lavish pillows from our pillow menu and the most luxurious in-room amenities. As an added luxury, each room comes equipped with CHI branded blow dryers, CHI flatirons, and BVLGARI personal products and an array of luxury bath salts in every room. Suites are also stocked with mini-bars featuring top-shelf spirits, snacks, high definition flat screen SMART TV’s, with Apple TV and gourmet Lavazza coffee makers. Guests will rest on goose down pillows and luxury bedding with 100 percent cotton sheets, complimentary Wi-Fi, signature beach tote, and umbrella. Le Blanc Spa Resort Los Cabos offers an extensive array of gourmet restaurants sure to please even the most discerning palettes. From delectable cuts of meat featuring Certified Angus Beef to sweet works of art by world-renowned pastry chef, Antonio Bachour, Le Blanc Spa Resort offers lovers of culinary experiences, the chance to dine on exquisite ingredients with unique presentations and savory bites and cuisines from around the globe. The resort’s signature restaurant, LUMIERE is sure to impress with a seven-course French fusion tasting menu, paired with signature wines. The gastronomic offering also includes international cuisines on its seven other restaurants: BLANC INTERNATIONAL, BLANC ITALIA, BLANC ASIA, BLANC PIZZA, BLANC OCEAN, BLANC CAFÉ, AND MEZZE. For guests looking for relaxation, BLANCSPA features a hydrotherapy area, hot & cold plunge pools, sauna, herbal steam room, chromotherapy, ice room, relaxation lounge and 25 treatment rooms where guests can indulge in a full menu of exotic and invigorating spa treatments. With unique services, featuring the latest in spa technology trends, the spa features ancient local inspired treatments such as the signature Pericue Massage, a four-hand massage ritual derived from the history of the region’s ancient natives, the Pericue Tribe. The experience includes four majestic elements including the movement of the waves, the walk of the Cardinal and the touch of the jellyfish. Other services include a variety of massages including the signature Diamond Facial, a global anti-aging treatment featuring Natura Bisse products to combat any sign of aging, revitalizing skin cells to create a lifting effect. The spa will also feature a beauty salon, boutique, and state of the art fitness center with personal trainers on hand, including a state-of-the-art spinning studio. *Valid until April 27, 2019. Applicable for new reservations only. Minimum of 4 nights required. Applicable to wedding and leisure groups. Reservations with overlapping dates qualify, cancellations and re-bookings will be denied. Promotion is subject to change or may be discontinued without prior notice. Not applicable to travel agent rate, tour operator employee rate, FAM trips, site inspections, Complimentary, Compensatory stays or any other rate reduced promotions in the market. Not redeemable for cash. This promotion is not transferrable to guests in other rooms. 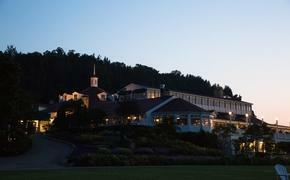 Reservations of less than four (4) nights will not qualify for this promotion. SOURCE: Le Blanc Spa Resort press release.